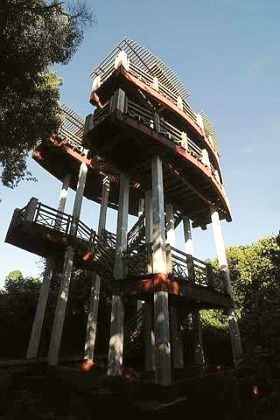 THE Bukit Lima Forest Park has become very popular for recreation, nature walks, exercise and photography. Opened in January 2001, it is easily accessible by road and is only 8km from the Sibu town centre. It occupies a small part of the 280ha Bukit Lima Forest Reserve which was gazetted in 1929. Under-utilised: The 3-storey concrete watchtower which may be turned into a photo gallery. Sarawak Forestry Corporation (SFC) set up the park to enable Sibu residents to appreciate the importance of forests and offer them a venue to learn about forest conservation. It is one of the largest wetland parks in the country. The peat swamp forest within the reserve is a gold mine for nature lovers. A slow walk through the park’s two trails takes three hours and one will see lowland trees, plants, flowers, mushrooms, birds, insects, butterflies, bats, lizards, snakes, frogs, terrapins, long-tailed macaques and a lot more if one is alert and observant. Most of the trails totalling 6km are pleasantly shaded by tall secondary forests. Every evening, dozens of people turn up to jog along the trails. The number of people reaches 300 to 400 during weekends and public holidays. Many bring along their family members. Regular visitors: Students taking a walk along one of the trails. “I come every alternative day unless I am outstation. It has become a habit,” said William Wong, a manager of an insurance company. He said that jogging was good exercise for middle-aged people like him. Businessman Raymond Wong said he was a regular at the park. “I come at least three times a week, usually after work in the evening,” he said, adding that he jogged on the shorter trail on week days and on both trails during weekends. Hu Ngiik Chuo, 68, said the park was an excellent place to take her three grandchildren, aged between five and twelve years, to see nature. “They are excited every time they see a group of monkeys foraging for food from tree to tree. The monkeys are friendly as they come quite close to us,” Hu said. 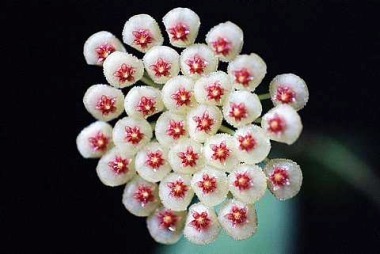 Rare sighting: An unnamed flower. The park has also become a popular venue for corporate bodies, clubs and associations to organise activities such as treasure hunts and joggerthons for their staff. Ta Ann Holdings and Pansar Sdn Bhd are the two most-regular users of the park’s facilities. 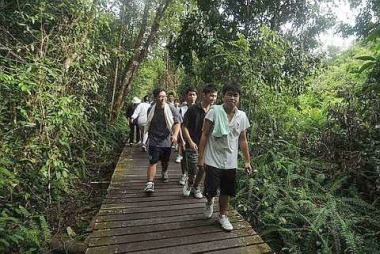 Ta Ann fulfils its social responsibility by building and maintaining a 3.5km trail aptly named Ta Ann Trail. Sarawak Timber Association recently contributed RM500,000 for the upgrading of the shorter 2.5km trail. Members of the Photographic Society of Sibu find the park an excellent place for nature and macro photography. Its president Steve Ling and vice-president Abang Abdul Khalid Kiprawi regularly take new members to the park to expose them to nature photography. However, the park’s users say there are many rooms for improvement. 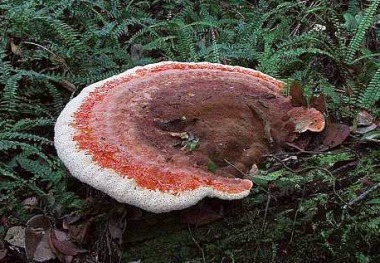 Rare sight: A giant mushroom. SFC, which manages the park, has been urged to name the trees and plants along the trails and put up directional signs and indications of the distance from the base. “On the first few times I went to the park, I lost my way and panicked,” said student Stella Lau. Sibu Municipal Council deputy chairman Daniel Ngieng, who visits the park once a week, said that many people thought that the park was managed by the council. He said he had received public complaints of poor maintenance including failing to remove fallen branches, low branches and tall grass along the trails. “It will be good to build environment-friendly toilets along the trails for emergency use. Rubbish bins should also be placed at strategic points,” Ngieng said. He said that SMC was willing to take up the park’s management if given the chance. A visiting photographer from Kuching suggested that the three-storey concrete watchtower which is under-utilised be converted into a gallery exhibiting photos taken in the park. The Sibu public feel, as the park rises in popularity, the authorities should build camping and picnic sites, souvenir stalls, a cafeteria, children’s playground and boating canals.